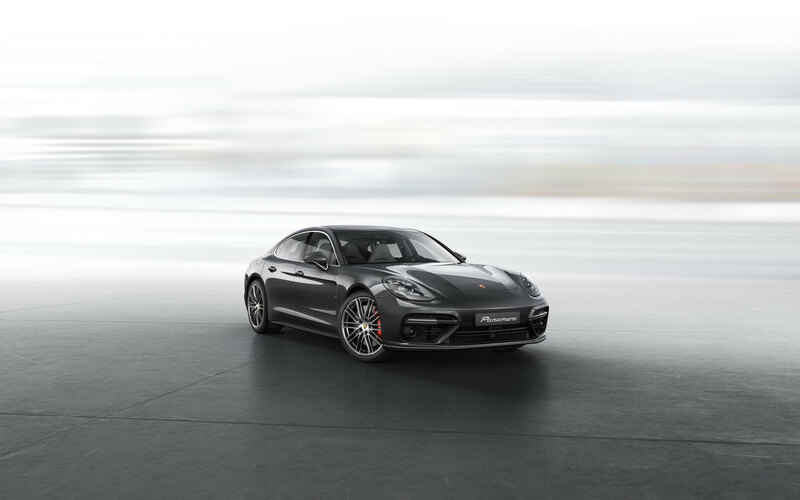 4.0 liter twin-turbo V8 engine producing 550 hp and 567 lb.-ft. The all-new twin-turbo V8 engine in the Panamera Turbo is lighter and more compact than its predecessor and comes equipped with VarioCam Plus. The two turbochargers are now positioned in between the cylinder banks. This reduces the distance that the exhaust stream has to travel to reach the respective turbo – delivering a more rapid response. 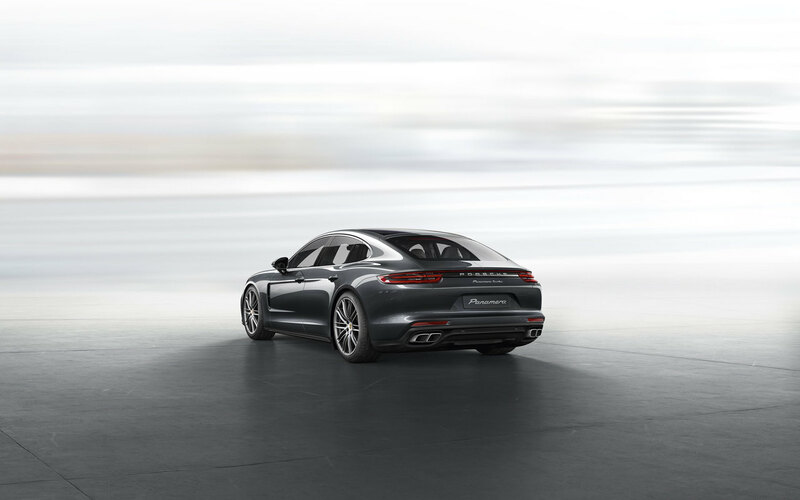 The twin-turbo V8 engine of the Panamera Turbo is equipped with twinscroll turbines. The exhaust streams arrive at the turbine wheel through physically separate channels – for optimized gas cycles. 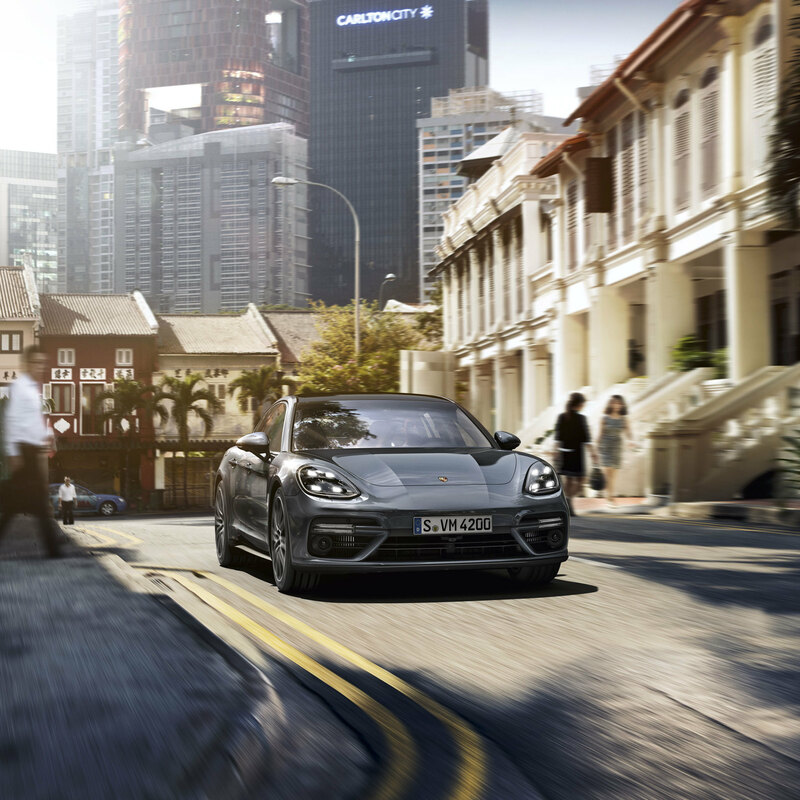 The result: high torque even in the low rpm range. 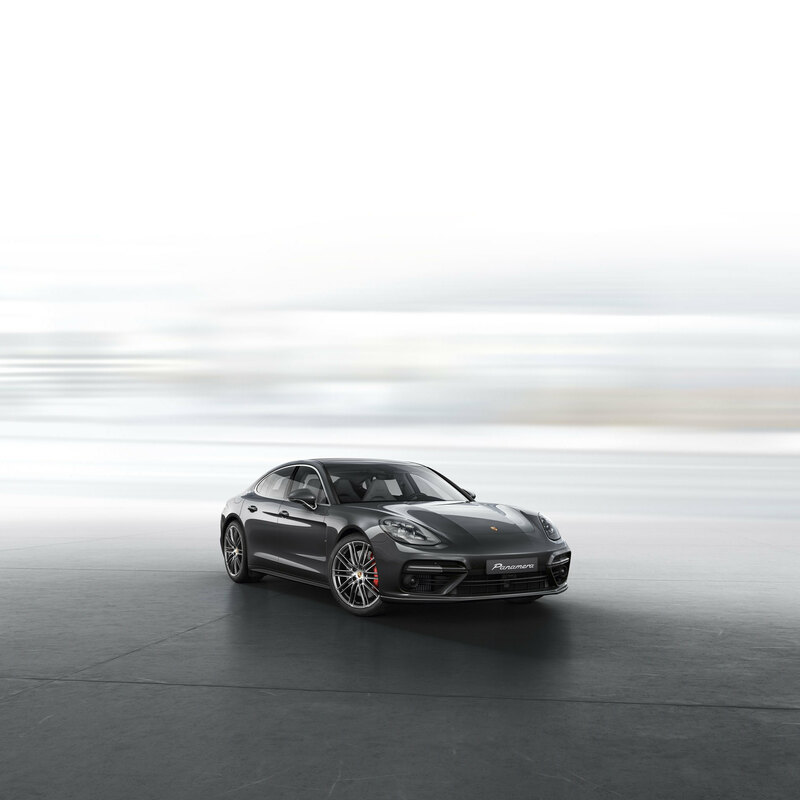 The adaptive cylinder control of the twinturbo V8 engine activates cylinders on demand. An example: you’re driving in town and have little need for power, your car will now operate on only four cylinders instead of eight. Once you demand greater power output again, all cylinders will immediately be reactivated. We rise to the challenge we’re given. 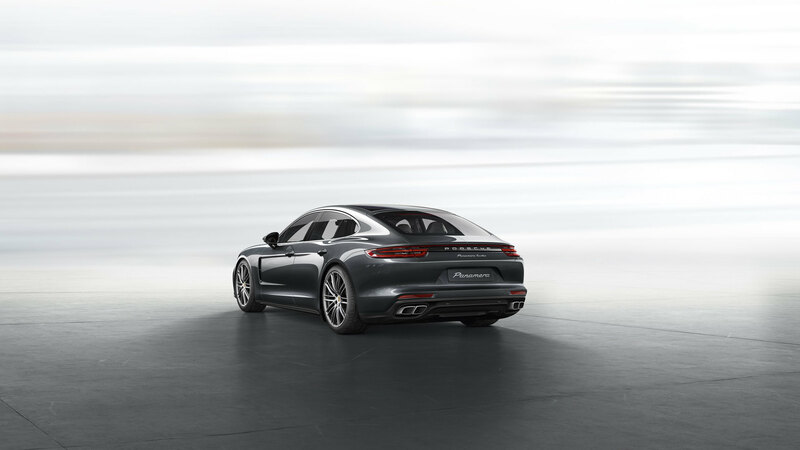 The same applies to the wheel dimensions of the new Panamera. 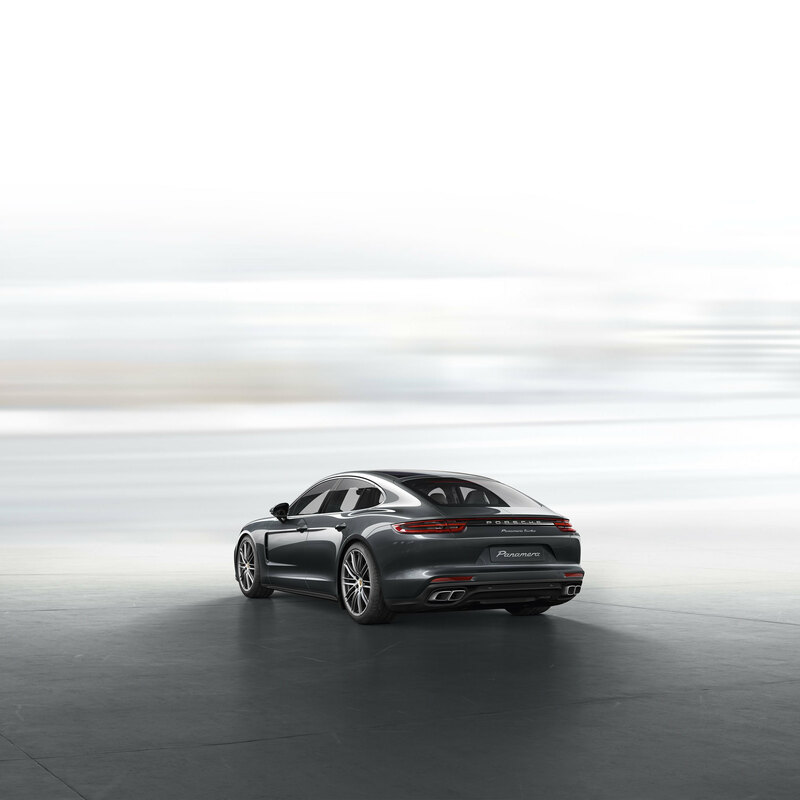 The tires are wider, the contact surface larger – for enhanced performance under acceleration and braking. As of now, optional sizes of up to 21 inches are available from a range of wheel designs, assuring you of a grand appearance. 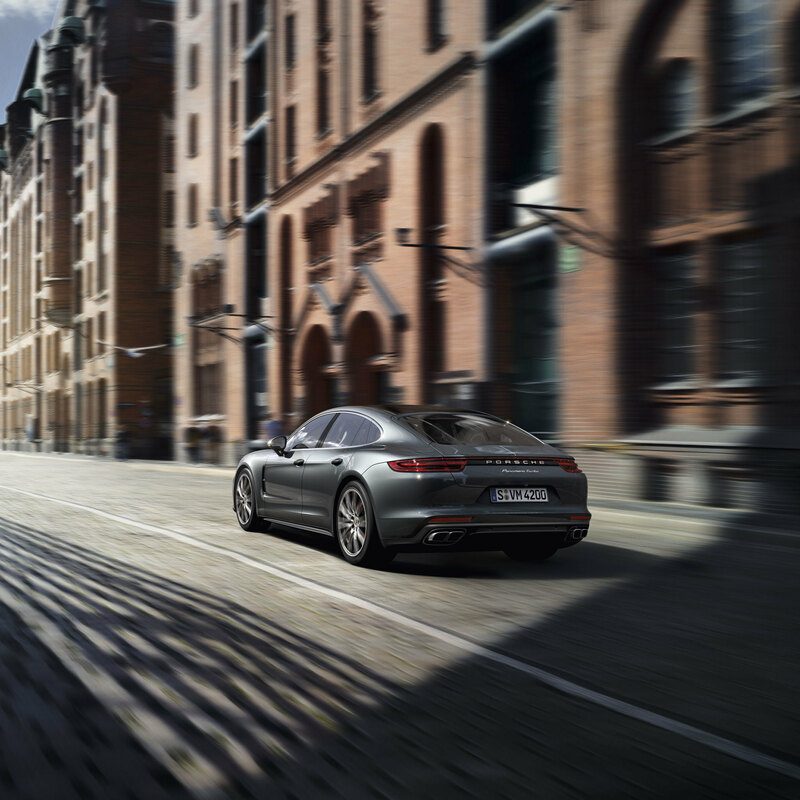 The Panamera Turbo is equipped as standard with 20-inch wheels. The material? Alloy, of course. The design? Classic and sporty. A choice of other 20- and 21-inch wheels is available on request. 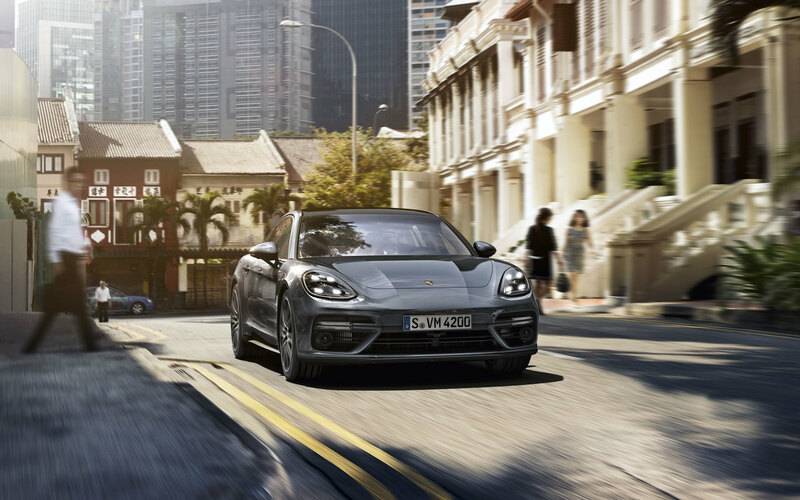 A stunning identifying feature at the front: LED headlights with four-spot daytime running lights, including Porsche Dynamic Light System (PDLS) on the Panamera Turbo. 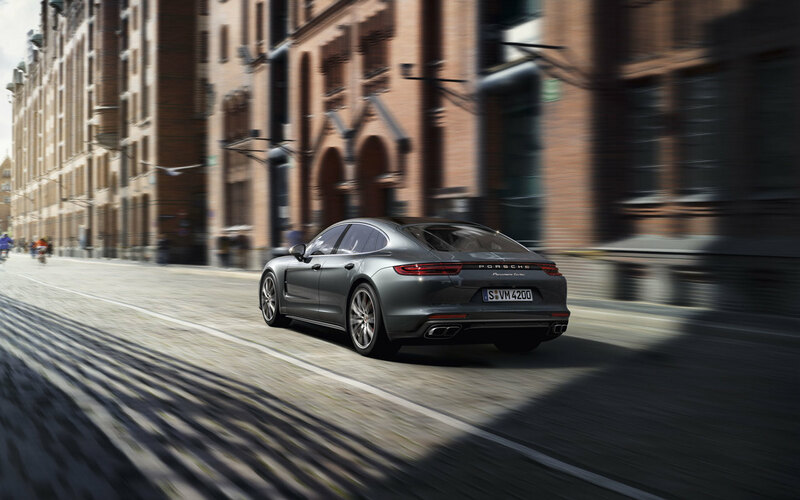 The Panamera Turbo is equipped with 14-way power seats including comfort memory package in front. These add seat squab length adjustment and four-way lumbar support for the driver and front passenger. 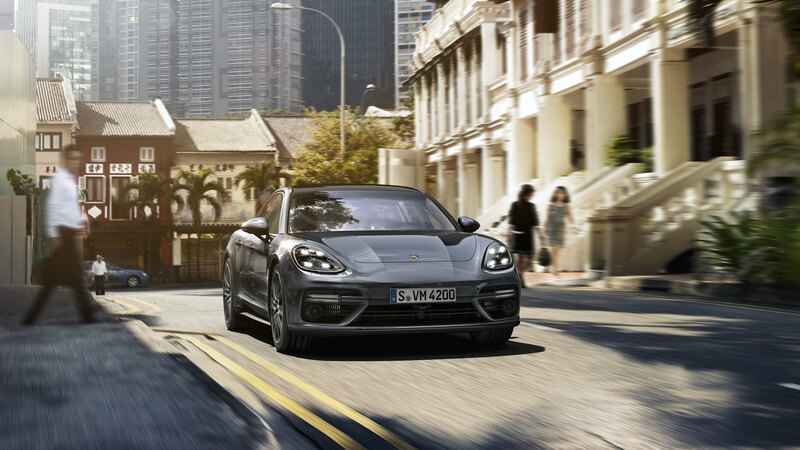 The memory function stores settings for seats, steering column, both exterior mirrors and other personalized in-car settings. 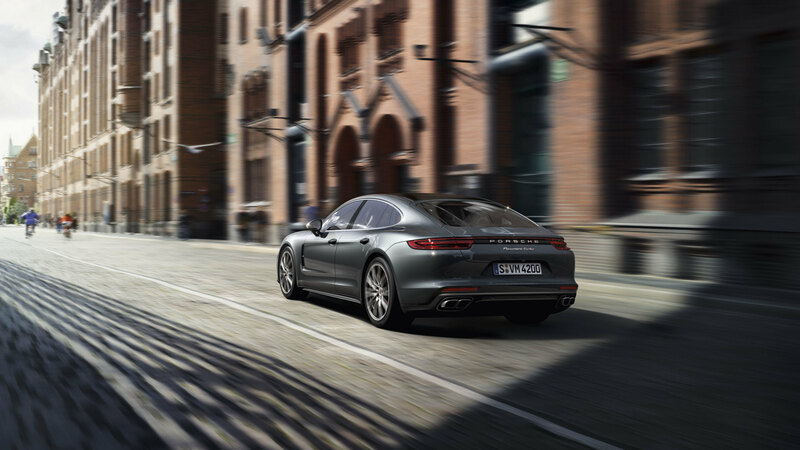 The front seats of all new Panamera Panamera Turbo – come equipped with seat heating to warm the squab and backrest to an agreeable temperature. Optional seat ventilation incorporates active aeration of the perforated seat center and backrest to provide a pleasant seating environment – even in hot weather.